Flushing Meadows, NY, July 18 - Members of the USTA Eastern NJ Region Board (from left in above photo: Ken Goldsmith, Ron Thomas, Lou Wiggs and Bob Bynum) took a Wednesday night off and traveled out to the Billie Jean King National Tennis Center in Flushing Meadows, NY to enjoy an evening of World Team Tennis! 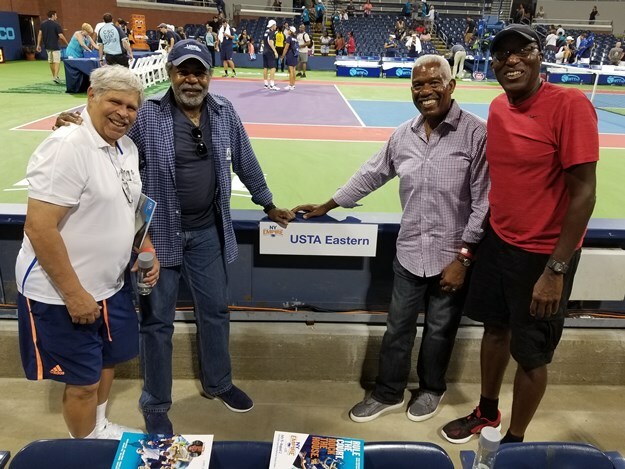 It was an exciting event, with the New York Empire, coached by Gigi Fernandez competing against the Philadelphia Freedoms, coached by Craig Kardon. The atmosphere was fun and fan friendly, with music played between points and games, and on-court coaching between games as well. 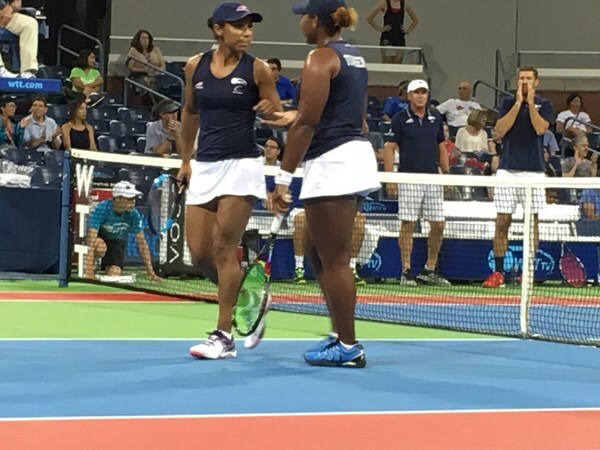 In addition to seeing players Tatjana Maria, Maria Jose Martinez Sanchez, Denis Novikov, and Neal Skupski compete for the New York Empire, the Philadelphia Freedoms were on point, with players Taylor Townsend, Raquel Atawo, Kevin King and Fabrice Martin putting in a strong showing. The visiting Freedoms claimed a close, hard-fought 21 -17 win over the host Empire on Court 17. 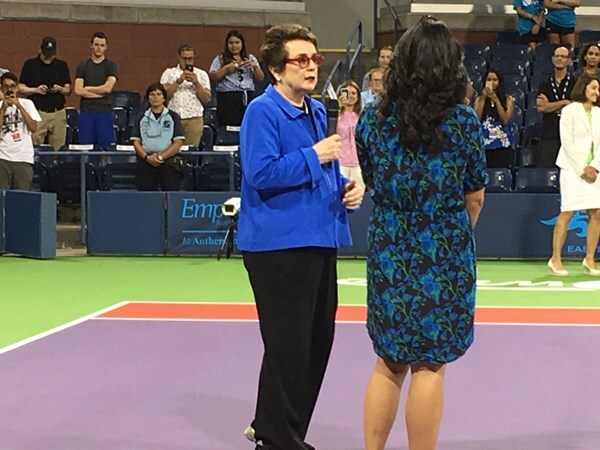 In addition to the competitive matches, a special tribute was paid to Women In Sports, featuring tennis legend Billie Jean King and the Women's Sports Foundation who have set an example for women and girls to follow. 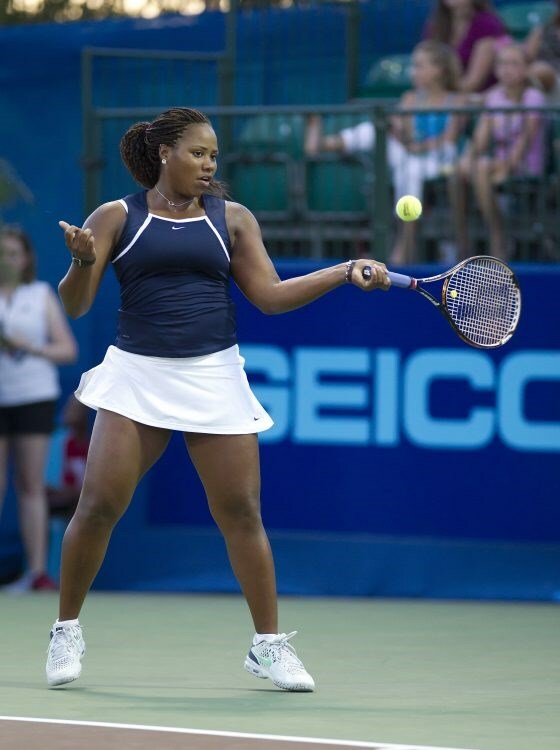 For those of you who may be unfamiliar with the World Team Tennis format, in a WTT match each team is comprised of two men, two women, and a coach. Team matches consist of five sets, with one set each of men's and women's singles, men's and women's doubles, and mixed doubles. The first team to reach five games wins each set. A nine-point tiebreaker is played if a set reaches four games all. One point is awarded for each game won and scoring is cumulative. If necessary, Extended Play and a 13 point Super Tiebreaker are played to determine the winner of the match. 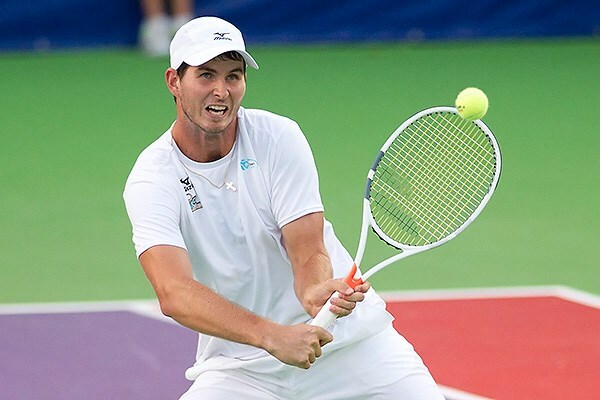 If you want to have a fun, exciting time watching a tennis match, follow the WTT schedule and make sure you buy tickets the next time they're in the area!